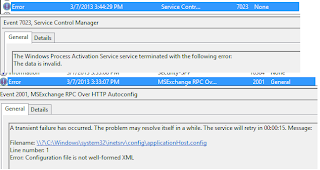 The Windows Process Activation Service encountered an error trying to read configuration data from file ‘\\?\C:\Windows\system32\inetsrv\config\applicationHost.config’, line number ’0′. 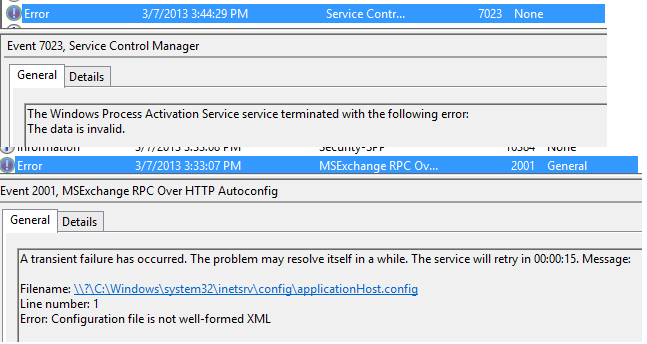 The error message is: ‘Configuration file is not well-formed XML’. The data field contains the error number. copy a "healthy" applicationHost.config file in c:\inetpub\history and put it into c:\windows\system32\inetsrv\config.